We’re so used to the career politicians. Or even the mega-rich candidates who try to buy their way into public office. But once in a while, someone comes along who is a breath of fresh air. A common man, who just wants to better his community. Take New Milford’s Billy Buckbee. He doesn’t have a Harvard Law degree, he isn’t a career politician, nor does he have millions to buy your vote. Heck, he doesn’t even wear a suit. As a a 4th generation New Milford native, he’s a common man who has ideas on how to make his town a better place to live. 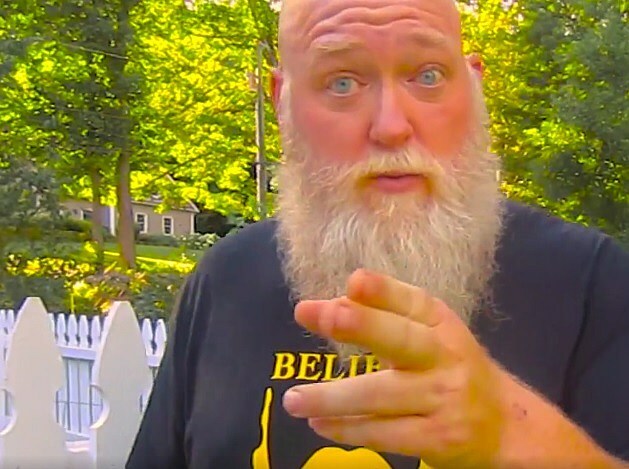 You may see him working at Harrybrook Park, or helping out with the New Milford Homeless Shelter, and around the holidays, he’s the closest thing to Santa you’ll ever see, and the beard is real! Now, Billy is seeking your vote in November as he sets his sights on Connecticut State Rep. for the 67th District in New Milford. So, in these days of Washington establishment politicians, it’s nice to see a candidate who, like most of us, is down to earth and real. This is not an endorsement, rather a refreshing look at a common candidate, and a common man. And if you so desire in November, “Let Buckbee Do It”.